A reader emailed this week to ask about bike hire in Nantes. Here's our Q&A. We are looking to rent 2 bikes in Nantes on about Sept 10. The only listing you have, Detours de Loire, has no bikes available at this time. Are there any other bike rentals in Nantes or close by? If Detours de Loire have no availability, click here for another place the tourist board has recommended: They have singles and tandems. You can reserve bikes in advance via this page. Depending on the type of bikes you need/type of riding you're doing, Nantes has a public bike hire scheme, called Bicloo, which may be an option for you. Here is another option for bikes by the day and 1/2 day, though they are town bikes rather than tourers. I hope that helps - it would be good to hear how you get on. 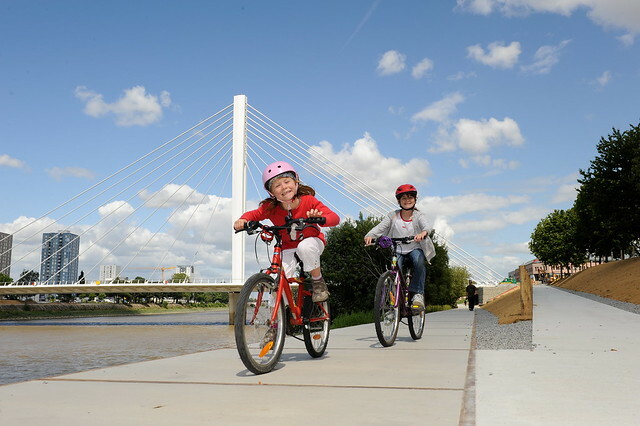 PS I've added these two new Nantes bike rental options to my Pays de la Loire bike hire listings for future reference.